It is crucial to learn all the neck pain facts before seeking treatment. After all, there are many myths still propagated in the treatment sector, misguiding patients towards dangerous and ineffective methods of care for virtually all conditions. In most pain profiles, it is difficult to determine objective fact from subjective opinion, helping to explain the often poor therapeutic outcomes suffered by so many patients. Proactivity is a patient’s best friend when it comes to finding relief from neck pain. This is why we always recommend that patients take active roles in their own diagnostic and treatment efforts. The optimal path towards a cure involves learning all about neck pain and its many possible causes. Leaving these details exclusively up to your care provider is unfortunately known to provide disappointing results and might even lead you towards unnecessary surgery. This important guide focuses on separating fact from fiction when it comes to neck pain. We will examine the symptoms, causes and treatment of neck pain and provide truths that all patients must know and understand. The severity of neck pain symptoms often does not correlate to the clinical significance of the causative process. In essence, this means that very severe pain might originate from a source that is basically transient and nonpathological over an extended timeline. We see many cases where the patient is in dire pain, yet the cause turns out to be muscular strain or some other common explanation that will not leave any lingering consequences. Pain is often just one symptom of neck dorsalgia syndromes. Tingling, numbness and weakness are also common manifestations in many patients. It should be known that these additional neurological expressions do not inherently mean that a spinal nerve is being compressed, as is the common thought. There are many possible reasons why additional neurological symptoms might exist, so no assumptions should be made as to the cause without proper diagnostic evaluation. Cervical degenerative disc disease is usually a complete nonissue. There is nothing pathological about the process, although it does facilitate herniations and arthritic activity. Herniated discs in the cervical spine are virtually normal and are rarely pathological. There is nothing inherently harmful about a herniated disc and the disc can only cause symptoms if it negatively influences a nerve or the spinal cord. 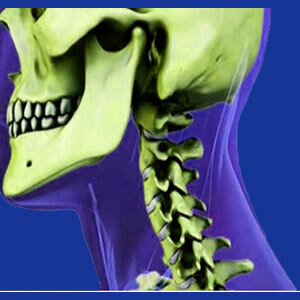 Spinal osteoarthritis is normal and expected in the neck. Most cervical spinal arthritis is harmless and will not cause any significant symptoms. Only rare cases of OA will create neck pain. Many theories or causation are confused with consequences of the true underlying causative process. This means that a diagnosis will be made identifying a source of pain when this source is actually a result of some other process and is therefore not the origin of pain, but merely a symptom. This common mix up of cause and consequence usually involves cervical hyperlordosis or hypolordosis and occasionally might relate to cervical scoliosis or torticollis. The first falsehood of neck pain treatment is the idea that professional care is needed for pain, when in most cases, it is optional. As students of chronic pain, we were shocked when we discovered that patients with any type of lasting symptomology actually fared much better when they did not seek treatment, compared to patients who received any type of professional therapy. This statistic truly demonstrates how misguided much of the dorsalgia treatment sector truly is. Another misconception of treatment is that neck surgery will fix pain issues when conservative care fails to deliver satisfying outcomes. If indicated conservative care fails, what makes you think that surgical intervention will succeed? In a minority of cases, surgery is truly needed to address specific structural problems in the anatomy, such as central spinal stenosis. However, in most cases, conservative care fails due to misdiagnosis and surgery that seeks to address the same causative condition will also logically fail. The biggest myth when it comes to neck pain treatment is that it must target the anatomy in order to be effective. Statistics actually support the most effective care regimen as being knowledge therapy, based on efficacy and a lack of risk factors. This treatment completely forgoes treating the body in favor of addressing the underlying mindbody issues that are truly responsible for the pain. This treatment is rarely championed by physicians, since it literally takes money away from doctors, making it economic suicide for doctors to endorse it. The points in this essay are all important, but only represent a small amount of the knowledge base that patients will need to successfully navigate the diagnostic and treatment industry. Please continue to utilize the other resources on this website to further your education and become capable of advocating for yourself in the often perilous dorsalgia therapy sector.